Your dental hygienist is a great resource for tips on how to improve your dental health and reduce the likelihood that you will develop cavities. 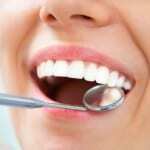 Once you develop a cavity, you will need a dentist’s help to fill the cavity and prevent further tooth decay. The early stages of tooth decay can be stopped and even reversed. Good oral hygiene does take time, but the results are worth the effort. Cavities are caused by bacteria in your mouth that produce acid when exposed to starchy and sugary food particles. This acid removes calcium and other minerals from your tooth’s enamel (outer layer), causing decay. This decay process is ongoing, but so is the repair process. Calcium and phosphate from food you eat, as well as fluoride you ingest, help your teeth repair themselves, strengthening the enamel again and stopping decay. Your teeth are more susceptible to decay at night because saliva production is lower when you sleep. Saliva constantly flushes your mouth, removing bacteria, acid and food particles. So, what can you do to help your teeth and keep your dental hygienist happy? You can brush and floss your teeth at least two times each day. Your dentist may recommend sealants for your molars, which are the teeth most likely to develop cavities. Sealants are especially helpful for children who may not brush perfectly each time. Regular checkups from your dentist also help identify any problems early. If you are unsure about brushing techniques, your dental hygienist can help.